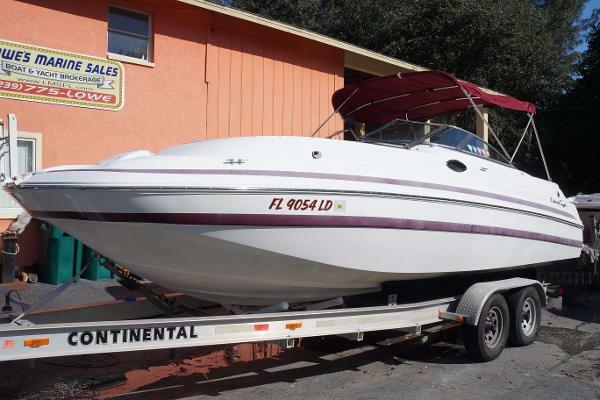 2000 Chris-Craft 262 Sport Deck 2000 Chris Craft 262 Sportdeck with a 285 hp Inboard/Outboard duoprop Volvo Penta. Extremely clean and runs flawlessly. Stylish, Fast and comfortable describes this modern deck boat. Key features include: full wrap around windshield with wind door below, dual flip up helm and companion seat, large bow seating with boarding ladder, in-floor ski locker, removable table, enclosed head compartment, cockpit wetbar, Garmin 441S GPS, deptsounder, vhf radio, stereo with 4 speakers, bow and cockpit covers, bimini top. 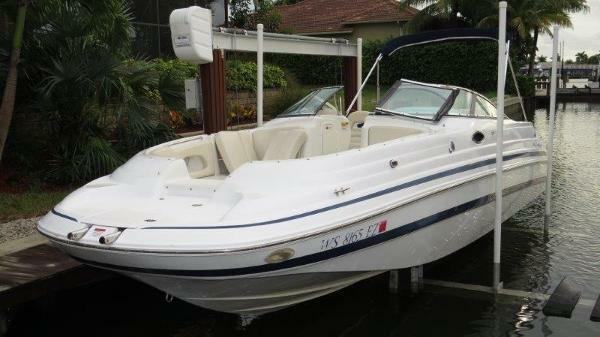 2000 CHRIS CRAFT 262 SPORT DECK! ONE OWNER! 380 HOURS! 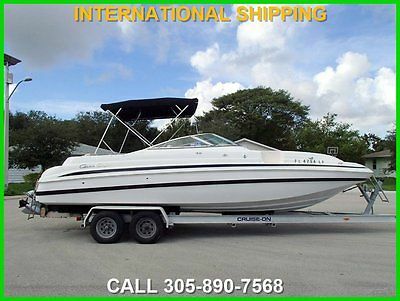 2001 Chris Craft 262 Sport Deck 2001 CHRIS CRAFT 262 SPORT DECK, LOOKS AND RUNS GREAT !! A modern full windshield deck boat with a nice blend of style, speed and comfort. There are three boarding gates, fore and aft boarding ladders, cockpit wetbar, fresh water spray showers, enclosed head with porta potti, removable table, bow filler cushions so you can lay out in the sun, lots of seating, in deck ski locker, Extended swim platform, Trim Tabs, stereo cd, bow and cockpit covers. She is a great multi-functional family deckboat with lots of passenger seating. Powered by a Volvo Penta 5.7 GXI 280 hp with 495 hours. She has been always been stored on a boat lift, ready for your family to enjoy.